The books and stories I write generally don't have happily-ever-after type endings. So much so in fact, that after reading The Beacon, someone told my husband that it was a good thing I listed domestic violence hotlines at the back because I was going to need them! It was a joke - but it expressed the reader's displeasure that the story doesn't have a happy ending. The Beacon touches on domestic violence, which is why the hotlines are listed in the back as a public service - but it is not about domestic violence. That reader actually asked me directly - "When are you going to write a story that will end how I want it to?" To end the book how YOU want it to end, means you should have written it. This is my story and I end it as I feel it must end. If you want happily-ever-after endings my books probably aren't for you. That doesn't mean they are depressing, or that some things don't go right for my characters, but life doesn't have happily-ever-after endings - so why should my books? You could argue that books are meant to be escapism, and I would argue in return that my books ARE escapism. You aren't likely to share the experiences in your real life that my characters do. That's what makes great reading. Living experiences that you may not get to (or even want to) in real life. My characters aren't just characters - they are people, like you and me. They are relatable, believable people, but they experience unusual things. You may experience domestic violence (I sincerely hope you don't), like one of the characters in The Beacon, but you are not likely to experience being stranded on an island, or truly questioning your sanity, or many of the other experiences my protagonist lives through. You may experience love and loss, like Cassie in Lifeboat. But you aren't likely to be taken aboard an alien spacecraft - are you? Well maybe some of you are, or have been, but I'd guess your numbers are few. The fact is, when a story ends on a happily-ever-after note - that isn't the end of the story. It was only the beginning. Maybe what happens after that isn't as interesting as what led up to it, but the story goes on even though it isn't told, because life goes on. And sometimes, yes oftentimes, what happens after the happily-ever-after is the most interesting part. It is the part after the happily-ever-after that keeps you thinking, and keeps you invested in the outcome. In my opinion that is the best part. What do you think? 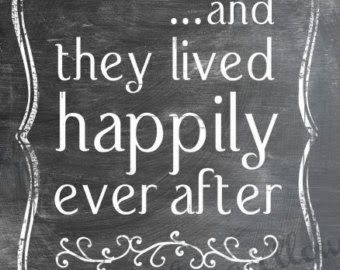 Do you prefer happily-ever-after endings? Or do you prefer more interesting endings? I prefer endings that give me what the book has hopefully been giving me. The EXPERIENCE of the story. I experienced domestic violence, heck you warned me about the book. It was FABULOUS, but it was a story. Thank you for NOT ending it the way I was expecting, honestly it was just what the book needed an unexpected ending. DON'T WRITE FOR ME, write for you, tell your stories. AND THANK YOU!